‘We’re going where?’ After trudging up a kilometre-long stony, dusty track as it looped its way up the side of the volcano, we had reached the top of Vesuvius. Or so I thought. To our right a neatly fenced-off path led a steady flow of people along the edge of one half of the crater. But we weren’t going that way. Instead our guide was pointing to the left, up what looked less like a path and more like an uneven pile of rocks. 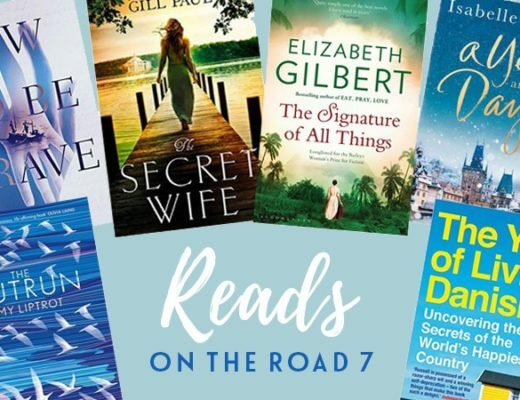 This tour was definitely taking us off the beaten – or any – track. Well away from the public route, the other side of the crater is only accessible if you have a guide. There are no fences or handrails here, just a narrow path around the edge of the crater with no other visitors in sight. Vesuvius is one of the world’s most famous volcanoes, best known for the catastrophic eruption which buried the towns of Pompeii and Herculaneum in 79 AD. But that’s just one of many eruptions that have taken place over thousands of years. Over its history Vesuvius has usually erupted every 18 months to seven and a half years – so with the last major eruption being in 1944 this is the longest it’s gone without erupting for 500 years. The 1944 eruption killed 26 people and meant that 12,000 people had to leave their homes. At 1300 metres tall, Vesuvius might not be the biggest volcano in Europe, but it’s classed as one of the most dangerous, partly because of its explosive eruptions and partly because of the huge number of people who live close to it – almost 600,000 of them in the most dangerous ‘red zone’. Our guide was a Vesuvius expert who’d been working on the volcano for 15 years, and as we headed up over stacks of rock and high above the people on the path below, he pointed out signs of the monitoring that goes on to keep the residents of the Bay of Naples safe. 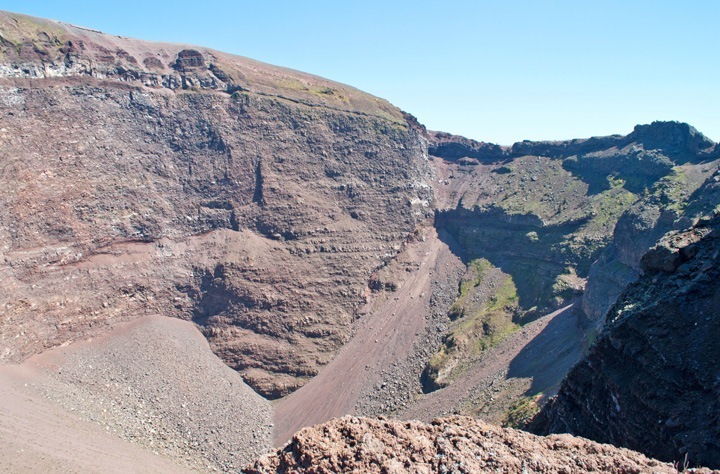 Sensors around the crater keep tabs on any movements or changes in temperature which are transmitted to the Vesuvius Observatory and analysed 24 hours a day. This means that there should be enough notice of any eruption to clear the most at-risk area 15 kilometres around the volcano. Whereas back in Pompeii the Romans just thought Vesuvius was a big pointed hill, these days its hidden dangers are never far from people’s minds. Feeling more reassured that Vesuvius was unlikely to erupt during our tour, we carried on up the rocky path around the crater. 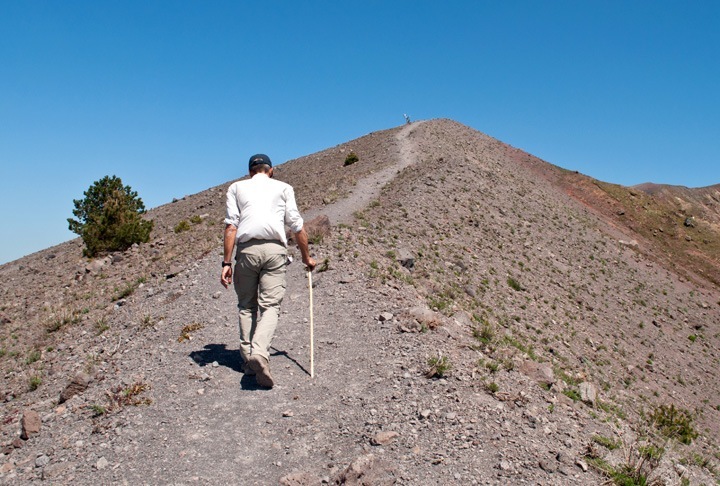 The ground below you is made up of ash and shards of different rocks, so walking is a bit of a workout as you slip and slide around – make sure to borrow a walking stick and wear decent shoes as walking downhill feels like wading through snow. You can see signs of past eruptions all around you – from the adjoining hill which is actually a whole separate crater formed by the explosive eruption in 79 AD, to the lava trails in shades of red and grey, and the steam escaping from under the rocks. We even got to clamber down into the crater itself and stick our hands in a steaming vent, where the heat and smell of sulphur remind you that there’s still a lot of activity going on beneath the surface. 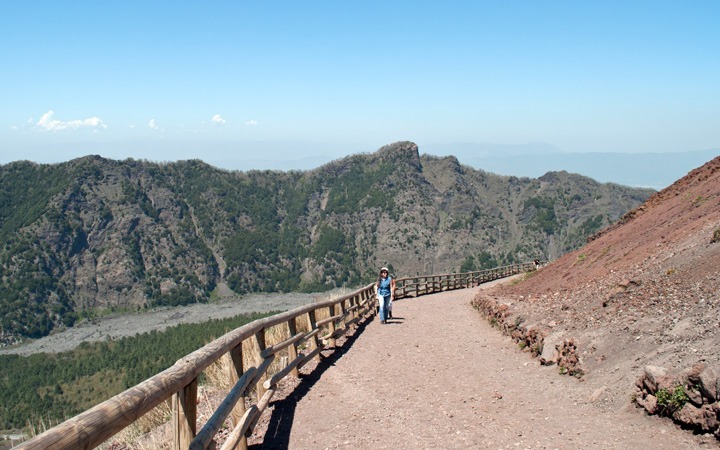 The peak of the tour (literally) is a stop at the highest point of the crater, 1300 metres up. 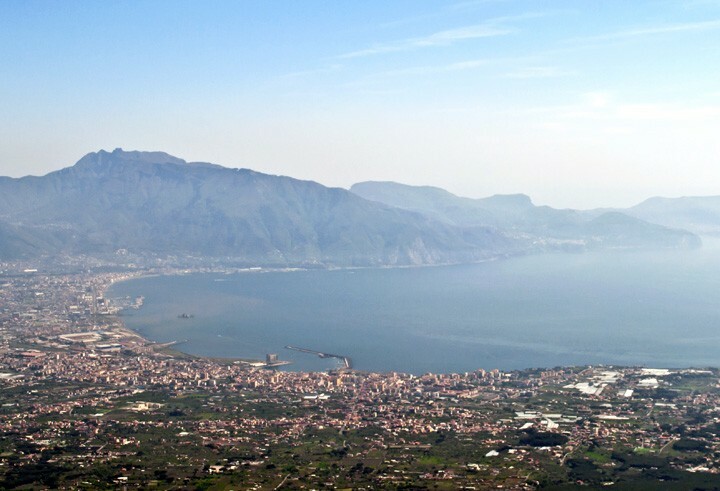 On a clear day you can see all across the city of Naples, along the coast to Sorrento and the Amalfi Coast, and across to the islands of Capri and Ischia. It was a bit hazy at the top while we were there but you could still see for miles in all directions. 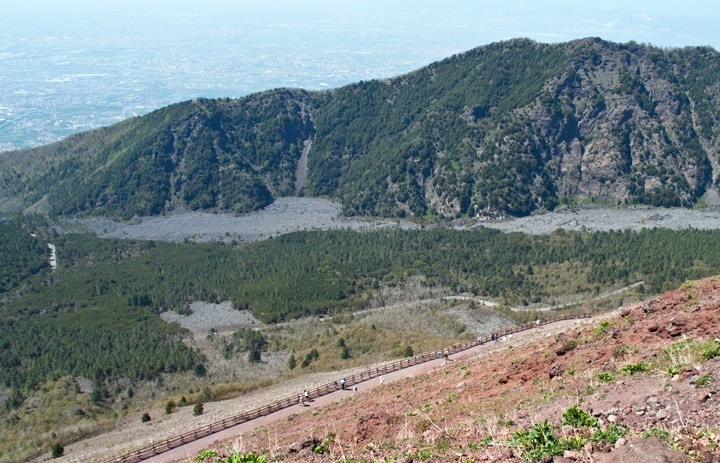 Then after quizzing our guide on everything you could possibly want to know about Vesuvius and volcanoes in general, we followed the path downhill to rejoin the crowds. We finished off our circuit of the crater back on the busy public path among the groups of people and souvenir shops, covered in dust and feeling like we’d peered into the real heart of Vesuvius. Vesuvius is about 23km south-east of Naples. The easiest way to get there is by car, but you can also take the Circumvesuviana train to Ercolano-Scavi and then take a taxi or shuttle bus to the volcano. The bus costs €10 return and runs every 40 minutes. The site is open 9am to 3pm November–February, 4pm March–October, 5pm April–June and September, and 6pm July–August. Entry costs €10 per person. I did the Vesuvius crater walk in 1976 – thanks for reminding me! 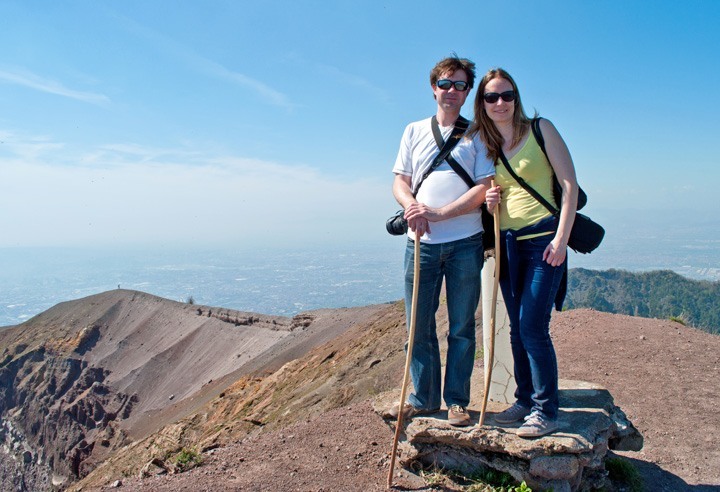 Hope you managed to get a better view from Vesuvius than you did from Monte Solaro! I know! Not sure I’d be too happy knowing it was that close to my house. The observatory say they should be able to give people two weeks’ notice of any eruption, but do admit they can’t guarantee it! Amazing to think that it’s “slumbered” all those years. Sounds like a great walk Lucy. We had a whingeing small boy and limited time when we were there so I envy you. Thanks for sharing. You were brave to do it with a child – it was a bit harder work than I was expecting! Great to get away from the crowds and really get a perspective on the size and power of it though. I am so in awe of your head for heights and adventure. Thank you – I’m normally ok with heights but did get a bit of vertigo at the first bit when we were on the rocks and could see the people down below (probably not helped by having a heavy cold and not being able to breathe properly!). I loved that hike! Unfortunately I did it last minute without planning and my poor flip flops and feet were coated with dirt after the decent back down. The view of Naples was stunning (although smoggy). I still ended up covered with dirt and with shoes full of stones! The views were amazing though. Looks absolutely wonderful, so panoramic. I’ve been to a couple of volcanic places in New Zealand where the sulphur smell was awful (even worse mixed with steam), but it was a bit more subtle here – only the odd whiff! Cool post. I have been up there twice. Will have to try the tour you went on when visit no.3 comes around. What is the name of the tour you hired? just discovered your blog, very cool! Your travels are amazing ! 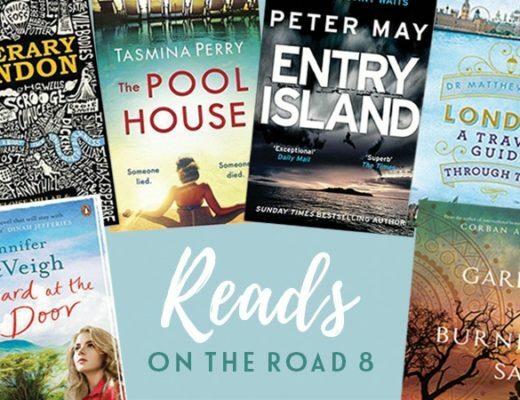 Thanks, and good luck with your forthcoming travels – I love a good road trip so look forward to seeing how you get on! The smell of sulphur could be no worse than the public loo at Vesuvius, It was filthy, the light didn’t work and they wanted two Euro for using it. I refused to pay and told them why! Glad I gave that a miss! There was a huge queue when we were there too. That was great! Thank you for sharing your adventure. Your pictures are very nice. Thanks – we did feel like we were on an adventure even though you could see everyone else on the paths just across from us! Sounds wonderful We went to Naples in 1985 but didn’t have enough time for this trek. You’ll have to go back sometime! 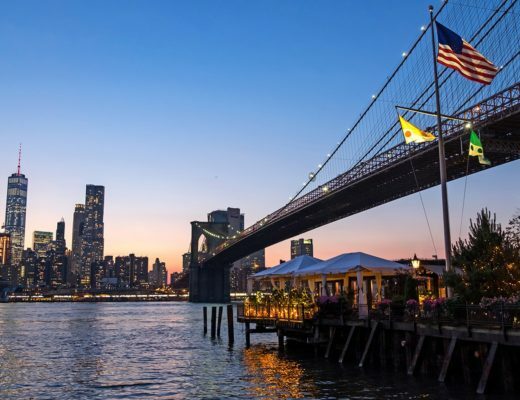 There’s so much to see in this area that it’s hard to fit it all in to one trip. Sounds incredible. I didn’t know you could hike into Vesuvius crater. What an incredible experience! I didn’t before either but it was great to get a different perspective on it and escape the crowds, definitely recommended. How long did it take to hike up and back? 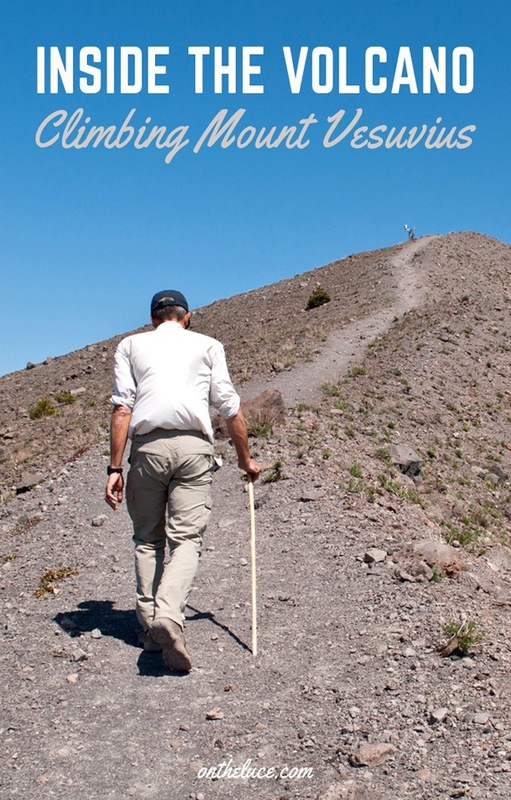 Did you need a certified guide to walk up to/look down into the crater. I want to do this, but have had read conflicting information about needing a guide. Hi, yes when we were there you couldn’t do the crater walk without a guide. How did you obtain a guide? Hi my tour was through Walks of Italy – I’m not sure if they do this specific tour any more but they may be able to suggest another or a local guide you could use.